In a strong show of collaboration, Water Safety New Zealand and Swimming New Zealand have partnered with The Warehouse to get behind water safety education for children in New Zealand. “Through this partnership with The Warehouse we’ll be able to reach more vulnerable kids and grow the programme. More and more kids are coming out of the education system without foundational water safety skills, and there is an unquestionable correlation between lack of water safety competence and long-term drowning prevention,” he said. The partnership will support Water Skills for Life, WSNZ’s national standard for aquatic education for five to thirteen-year olds. The programme is delivered through Swimming NZ and community partners such as schools, local councils and regional sports trusts. The programme was developed off the back of international research, best practice and water safety sector expertise, and currently reaches around 200,000 Kiwi kids. Mills said they had an aspiration to reach every five to thirteen-year-old in the country. The Warehouse CEO Pejman Okhovat says there were 78 preventable fatal drownings in New Zealand last year, and the country is at the upper end of drowning death rates in the developed world. 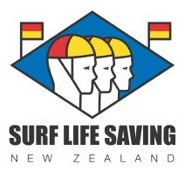 The partnership between The Warehouse and Water Safety New Zealand will run for two years. The Warehouse will be accepting donations for Water Skills for Life in store from Wednesday 29 November to Wednesday 20 December. Original generation time 1.7122 seconds. Cache Loaded in: 0.0439 seconds.